So you’re planning a trip to Vegas with kids, right? Don’t let the haters tell you that you’re crazy! We take our kids to Vegas every year and they absolutely love it there. And one of the main reasons why my kids love Las Vegas is they get to experience amazing family-friendly Vegas shows with us. I don’t know about you, but where I live it is impossible to just find world-class entertainment around the corner any night of the week. Heck, we just took our Baby to Vegas for New Year’s and experienced the Tournament of Kings at Excalibur. You can tell the kids had an amazing time, even my 11 month old! It is literally only in Vegas where you can find such a variety of incredible shows and live entertainment to suit any craving – shows that also happen to be very family friendly! So although we try to travel to new places with our kids every year, the one constant in our yearly travel itinerary is Las Vegas. There is just no place in the world like it, and I will show you one of my favorite reasons why. Quick Answers: What are the Best Family Shows in Vegas? 5.4 Criss Angel MINDFREAK LIVE! When you are in Vegas with kids of any age, there is always a unique chance to see an amazing Vegas show together as a family. However, there are just so many kid friendly shows in Vegas that it is hard to know where to start! 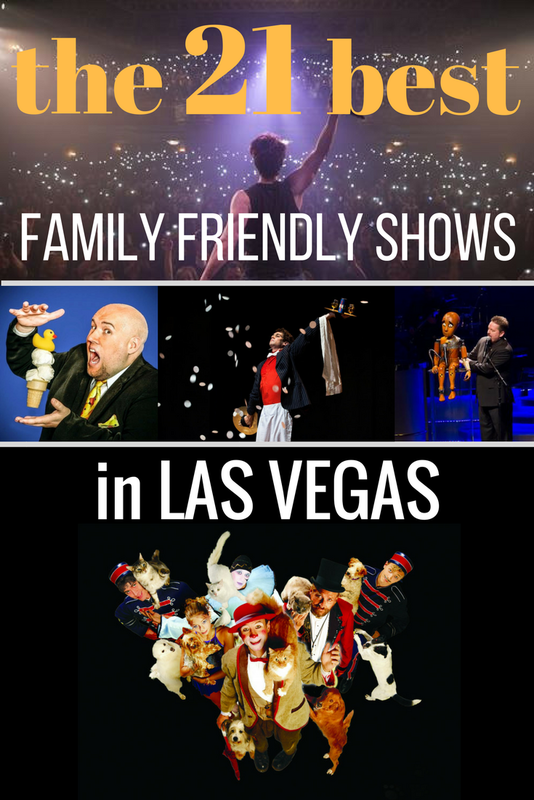 Now, there are quite a few lists out there claiming to reveal the best family shows in Las Vegas. But the truth is that families are so diverse, and each family has such different needs and interests, it is just not possible to boil it all down to a single list. Do your kids love magic or medieval jousting? 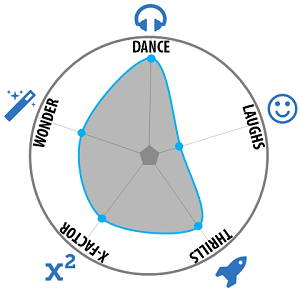 Would your munchkins prefer a puppet show or a live dance performance? 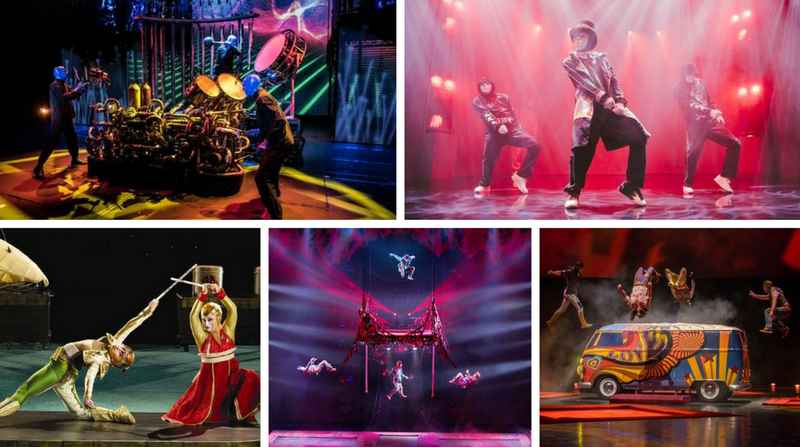 Is your family looking for astounding acrobatics, fiery pyrotechnics, elegant storytelling, or a thrilling sensory experience? Are you interested in comedy? How about comedy and pets? You get the picture. Whatever you desire, Vegas likely has you covered. But when we’re talking about the best shows for kids in Las Vegas, there really is no one-size-fits-all solution that will be perfect for every family. 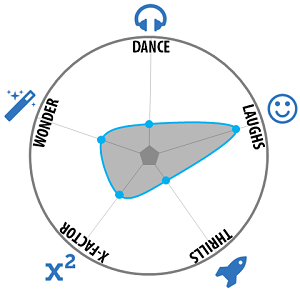 We provide detailed insights about what the best Vegas shows are really like, so you can determine whether it is appropriate for your family depending on the age and interests of your children, and the adults, in your party. We provide all the details you would ever need to know about every Las Vegas family show including factors like cost, location, age restrictions, duration, show times, box office information, as well as insightful and succinct descriptions that we distilled from research of comprehensive reviews written by families like your own. Now this is important. 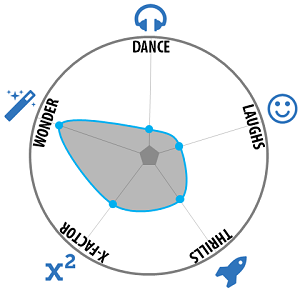 I realize that people like to explore and absorb information in lots of different ways. So we didn’t make just a plain old list of the best Vegas shows for kids. 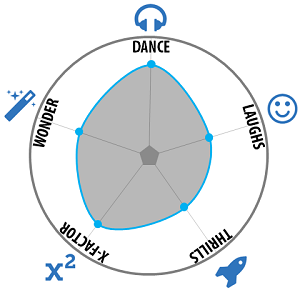 We also provide custom ratings along 5 key dimensions that will help you to visualize the strengths, weaknesses, and feelings associated with each of the top Las Vegas shows for kids. Every Vegas show is unique. Some magic shows will make you laugh and wonder, while others will keep you in a state of awe with dramatic thrills. 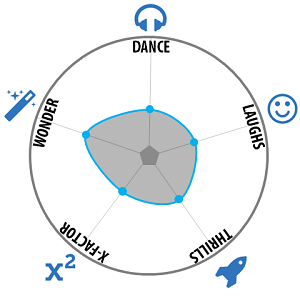 That is where these graphs can really help to pick the perfect experience for you and your family. Overview: Terry Fator has been a staple of family friendly Vegas entertainment for years at Mirage, with his hilarious show that features puppets, singing, impersonations, and of course, lots of clean but super funny jokes. Kids love puppets and will be entertained by Terry Fator’s personality, his amazing command of the art of ventriloquism, and more than anything, his unforgettable characters. Each puppet has a distinct personality that everyone will relate to, and some even sing familiar tunes. Winston the impersonating turtle will sing Maroon 5, Walter T. Airedale will sing your favorite Garth Brooks tunes, Duggie Scott Walker will sing Guns N’ Roses, and Vikki the cougar will sing a tune by Pussycat Dolls (of course!). 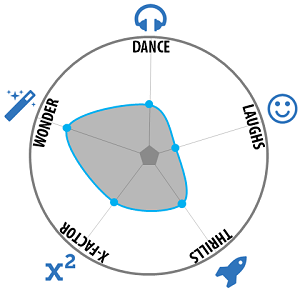 We rate Terry Fator’s show as being extremely high for laughs and X-factor because you are not likely to experience a better ventriloquism act in your lifetime. With good marks for wonder and dance due to familiar tunes throughout the show, there is no doubt that Terry Fator: The Voice of Entertainment is one of the best shows for families in Las Vegas. 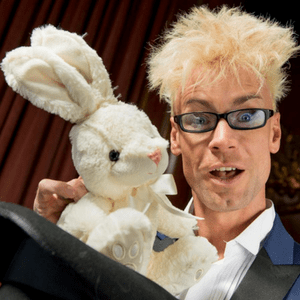 Overview: The Mac King magic show is a comedy extravaganza and is the perfect family friendly show in Las Vegas if you are looking for laughs and a fun, quirky experience. Mac King has had an illustrious career, for example, he formerly won an award from the famous Magic Castle in Hollywood as the “Magician of the year”. Mac King’s show involves fun props, sleight of hand tricks, and silly jokes. But most importantly is that this comedy magic show involves plenty of audience member participation. 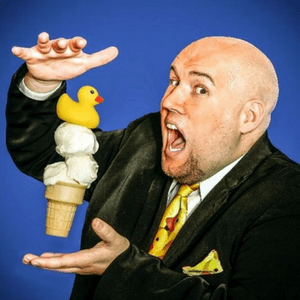 Mac King is naturally witty and engaging and has produced a stellar Las Vegas family show – it is funny, it is magical, and your whole family will love it! Overview: Murray SawChuck, the Magician, stepped into the spotlight on the popular TV show America’s Got Talent, and he has been entertaining families in Las Vegas with his variety show ever since. 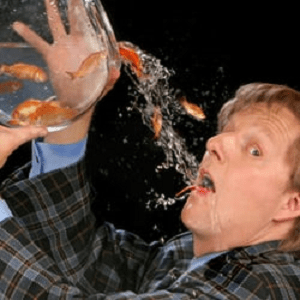 His comedy magic show is extremely unique and family friendly, involving crazy card tricks, audience engagement, and a constant stream of silly jokes that will leave a non-stop smile on your face. 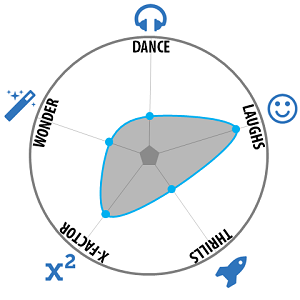 His wild blonde hair, thick glasses and charismatic personality create this larger than life character that you and your kids will absolutely fall in love with on stage. This show is designed with kids in mind, but appeals to kids of all ages (including you!) and deserves a spot on every list as one of the top Vegas shows for kids. Overview: Piff the Magic Dragon is a show for families with kids 13 or over and is truly unique in a town that has seen virtually everything. I mean, who would expect to see a comedic magician on stage in a dragon suit with a small chihuahua names Mr. Pifles? Well that is the kind of awesomeness you can expect in Piff’s show at the Flamingo. You might recognize Piff from his successful run on the TV show America’s Got Talent with his cheeky wit and charm. This show will make you laugh and will make you wonder with distinctive magic tricks that you won’t see anywhere else on the strip. 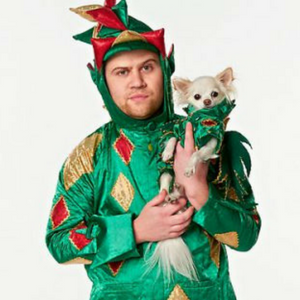 Although you can’t bring the little children, we consider Piff the Magic Dragon to be a family friendly Vegas show and just incredibly fun. Overview: Jabbawockeez is “the” premier hip hop dance crew who stepped into the national spotlight on the TV show So You Think You Can Dance, and they have also performed on America’s Got Talent. Believe it or not, I was once on a competitive hip hop dance crew in my early twenties in SoCal and before all the national fame, Jabbawockeez were already very well known locally among dancers as a force to be reckoned with. Jabbawockeez have since created an epic family friendly show in Las Vegas, where they dawn their notorious white masks and gloves and perform insane dance routines in perfect unison. You can expect TONS of dance, compelling audiovisual storytelling through music and movement, and even a little bit of comedy that will make you laugh out loud. Basically, this show has it all and I definitely recommend it as one of the best shows to see in Vegas. 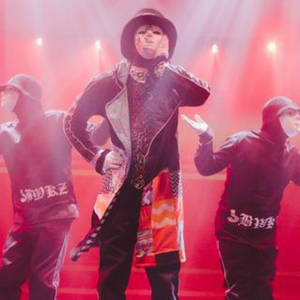 Jabbawockeez will entertain everyone in your family, young and old, and is extremely high on our X-factor because they will deliver a performance you will not soon forget. 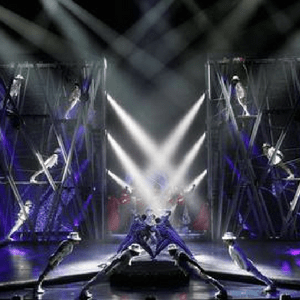 Overview: Michael Jackson ONE is a Cirque du Soleil production with all the amazing antics you would expect from a cirque show – thrilling acrobatics, creative storytelling, artistic production, and mind-blowing displays of sheer human talent. What sets it apart, though, is that all this is set to your favorite timeless tunes from one of America’s most beloved and beleaguered artists, Michael Jackson, including “Thriller”, “Billie Jean”, “Bad”, “Smooth Criminal”, and many others. The show involves dazzling pyrothechnics, surround-sound audio, and over five dozen professional dancers performing surreal and heart-pounding routines. Michael Jackson ONE will make you want to dance along, it will mesmerize and thrill you, and it will be one unforgettable performance for the whole family. That is why we consider Michael Jackson ONE a top Vegas show for kids and a well rounded show for the whole family. You can find this show at Mandalay Bay, which we have reviewed in detail as a top family friendly hotel in Las Vegas due to the amazing pool with lazy river, shark reef aquarium, and luxurious laid-back tropical atmosphere. Overview: What else can I say, Blue Man Group is a true Vegas classic and clearly one of the best shows in Las Vegas for kids. It is a surreal musical show on steroids, with vibrant colors and sounds and heart-pounding drum beats that will keep the kids engaged and on the edge of their seats. 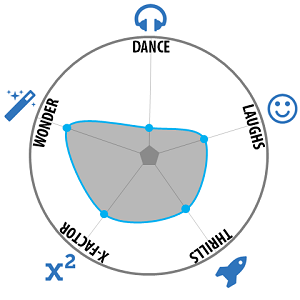 The show includes interactive features with the audience, multimedia theatrical elements with state-of-the-art technology, and even a bit of comedy. 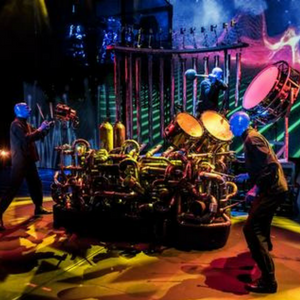 Blue Man Group is dramatically entertaining from start to finish and is considered by many, including ourselves, as the overall best family show in Vegas. If you are in Las Vegas with kids once in your lifetime and you get to see just one show, this is the Vegas show I would recommend you should – no, that you MUST – see. It is just incredible, even after 25 years on the Vegas Strip. Go see it. Blue Man Group plays at the Luxor, which made our list as a top 5 Vegas hotel for kids because it has a good family pool, several kid-friendly exhibits and lots of family friendly dining options. Overview: The Beatles LOVE is a musical show by Cirque du Soleil that is set to beloved Beatles tunes, including an award winning soundtrack of 26 unique tracks that sample collectively from over 130 different songs including “Hey Jude”, “Octopuses Garden”, “Twist and Shout”, and too many others to count. The show tells the legendary story of The Beatles and their rise to world fame by surveying many different historic elements of the 1960’s including politics and pop culture. 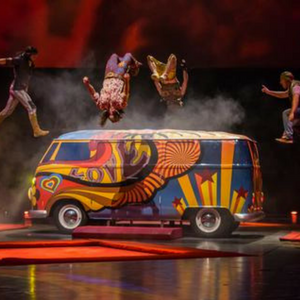 While the clear driving force of this show is the composite story told by Beatles music, there are also fantastical elements that will give you thrills and utter excitement including athletic moves, dancing, and dangerous acrobatics performed by stunning visual characters. The show is uniquely psychedelic and imaginative, and has carved out a space in the Vegas scene as one of the best all-around show experiences for families in Las Vegas. The Mirage is also our pick for the top family hotel in Vegas, so it makes sense to book this show together with a stay at the Mirage on your next family visit to Vegas. 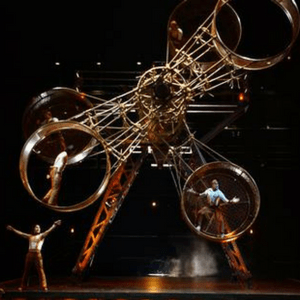 Overview: “O” by Cirque du Soleil is a phenomenal production that involves a million gallon pool in the middle of an ancient European-style theater. 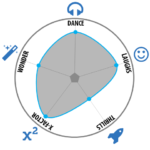 Yes, this means that most performances involve unique water elements like synchronized swimming and diving that you won’t find anywhere else on the Vegas strip. The costumes and characters are visually stunning and the death-defying airborne acts on the trapeze and red silks will leave you breathless. There is an energetic fire dance and a group of contortionists that will blow your mind. “O” is epic, artistic, inventive, dangerous and strangely delightful. Oh, and don’t sit too close to the stage unless you want to get a little wet! 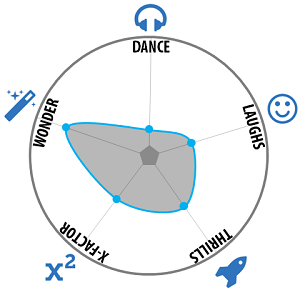 This is one great family show in Vegas that is so epic and unforgettable that it breaks our chart for X-factor alone. Overview: Ka by Cirque du Soleil is the ultimate Vegas show for families that are looking for a serious thrill and engaging storytelling. On a dynamic stage that keeps changing seamlessly throughout the production, it tells the saga from Asian folklore of good vs evil, of love and war, and of family. The show transitions periodically from martial arts and hand-to-hand combat to poetic puppetry and life-like shadow puppets – all with a backdrop of surreal elements including fiery pyrotechnics and jaw-dropping special effects. There are insane and dangerous stunts throughout the performance, including an intense moment that literally defies gravity. 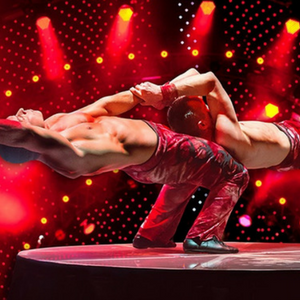 The thrills and entertainment provided by KA are on par with what you expect from other Cirque du Soleil shows in Vegas, but the real reason KA stands out to me is the degree of intricate storytelling that involves a perfect balance of comedy, romance and drama. With unique whimsical elements inspired by historic Asian cultures, this show is sure to please everyone in your group. You can catch KA at the MGM Grand, which is a great Vegas hotel for families that also has an enormous pool complex and a great collection of family friendly attractions. 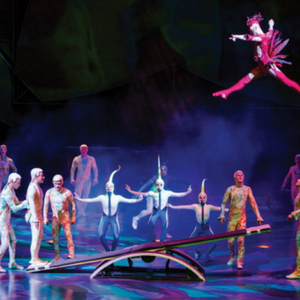 Overview: Mystere is the “OG”, and the original Cirque du Soleil show in Las Vegas. It is also a thrilling Vegas show for families with kids. It is a raucous circus act with wide ranging, specialized performances from aerialists, bungee jumpers, gymnasts and clowns – yes, clowns – like Brian Le Petit, who interacts repeatedly with the audience causing trouble and creating tons of laughs. The show is a wild ride that changes abruptly from moments of laughter to moments of awe and sheer wonder. Kids and adults alike will appreciate the mystical performances, and will love the overall experience delivered by Mystere. Overview: Criss Angel’s show, MINDFREAK LIVE!, is a mind-boggling adventure that is so much more than just a magic show. Yes, Criss Angel is a freak of nature, a brilliant magician, and a master of illusions. But this is a full throttle show that involves live DJ’s, pyrotechnics, various entertaining on-stage performances, and 3D immersive elements. The show is produced by Cirque du Soleil and incorporates top-notch stage production you would expect, with aesthetics that are fascinating and other-worldly. 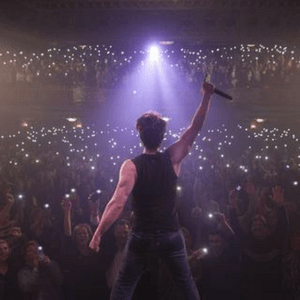 Criss Angel’s show scores exceptionally high on wonder and thrills, and is such a crazy and distinct experience that it also brings a high level of X-factor. This is a show I would generally recommend for teenagers and adults, but if you are up for it, they will let you bring the little tykes five and up along for the ride! 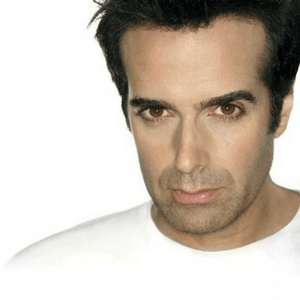 Overview: David Copperfield is perhaps the most famous magician in the world and has been a long-time staple on the Vegas strip with unimaginable illusions of appearance and disappearance. He has made jetliners and hundred foot statues disappear, and has even walked straight through the Great Wall of China. This is a family friendly Vegas show that is all about one thing – magic and illusions. Copperfield has a magnetic personality and engages in continuous audience engagement, making the show a fun and interactive experience for all. Copperfield with literally blow your mind like no other, and is worth experiencing if you and the kids are in the mood for a little magic and wonder. Overview: Xavier Mortimer’s Magical Dream is an astonishing show that will transport you to another world where anything seems possible. 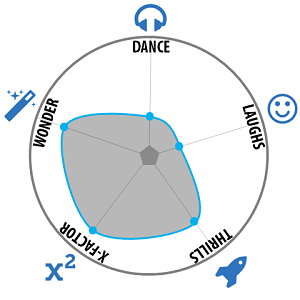 Xavier has been featured on the TV show America’s Got Talent and was a star of Micheal Jackson ONE before landing his own headlining show at Planet Hollywood. This show blends magic and illusions with physical comedy and enchanting theatrics reminiscent of Mary Poppins. This is a very entertaining show that is the perfect for families in Vegas looking to be mystified. Overview: Penn & Teller are synonymous with Vegas, and their classic comedy-magic act is one of the best shows in Las Vegas for families. They have honed their craft over the last 3 decades together, and it is hard to imagine a pair of performers with better rapport. 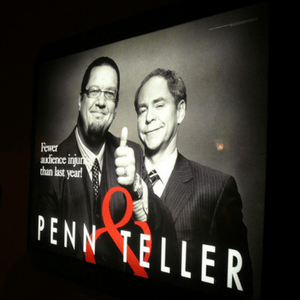 You never know what to expect at a Penn & Teller show, but you will always get a full dose of elaborate illusions, head-scratching magic tricks, and original humor that makes for an incredibly entertaining experience. You may see performers eating fire and knives, you may see tricks with live animals, and you are almost certain to see something grand disappear. This show scores very highly in 4 out of the 5 categories including laughs, thrills, wonder and X-factor, making it a must-see Vegas show for families visiting Sin City. 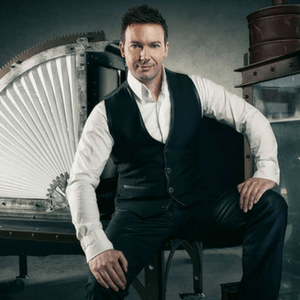 Overview: David Goldrake’s show, Imaginarium, is a thrilling magic show full of fun and mystery. His show involves crazy feats of mentalism, dangerous escape routines, and breathtaking illusions. The show also incorporates fascinating light displays, 3D video and enchanting stage designs that captivate the audience. David Goldrake is regarded as “The International Man of Mystery”, and you can catch his inventive show at the Tropicana. Imaginarium is a great option for families in Vegas with kids that want to catch a family-friendly magic show. 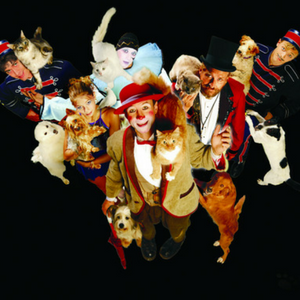 Overview: Popovich Comedy Pet Theatre is designed as a fascinating show for all ages, and is definitely one of the best shows for families in Las Vegas. This show will impress with juggling and tons of physical comedy, and will delight the kid in all of us with silly clown routines. The cast includes an amazing 25 pets, including 10 dogs and 15 cats, that were rescued from animal shelters. You will see tons of pet tricks and balancing acts in this raucous show. If your family loves animals, especially dogs and cats, then you will absolutely fall in love with Popovich’s Comedy Pet Theatre at Planet Hollywood. Overview: Laughternoon is the unique creation of Adam London, which blends comedy and magic around, of all things, rubber ducks. I mean, why not!? This is a fun Vegas show for the whole family that strikes an interesting balance between card tricks, playful illusions and stand-up comedy, with tons of audience interaction. 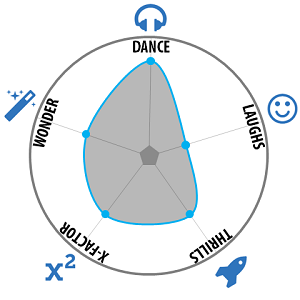 You and your kids will be thoroughly entertained and amazed by Adam’s friendly and energetic personality. Laughternoon shows every day of the week at 4pm, a good time to take your young children before dinner, and tickets are very budget-friendly, making this our favorite affordable Las Vegas show for kids. 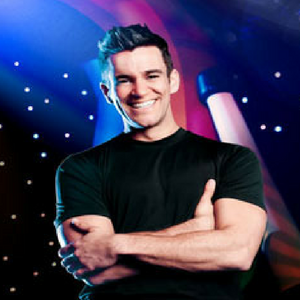 Overview: Jeff Civillico is the mastermind of the unique active comedy show that mixes physical stunts and comedy in an extremely entertaining way. 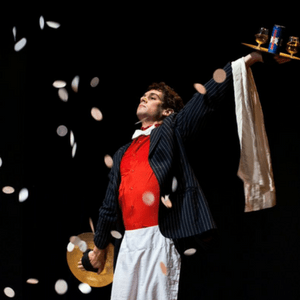 This family friendly Vegas show has incredible twists around every corner, including feats of sheer strength and balance involving everything from juggling to unicycles. There are knives, there are chainsaws, there is dish spinning, there are twelve foot ladders and there is everything else in between. 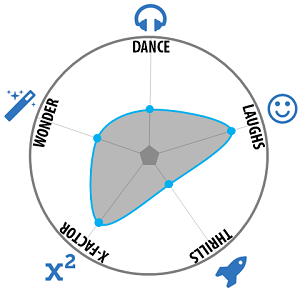 Jeff has an infectious energy and performs captivating stunts with such ease that you and the kids will be hypnotized. The only problem with this show is that it only shows once a week, Wednesdays at 7pm. Jeff’s show scores well on X-factor for a family comedy show because it involves so many incredible stunts that you will be thinking about it for days. Overview: V is a world-class variety show that literally has it all – music, comedy, acrobatics, juggling, magic and everything else in between. V presents an eclectic mix of individual performances that somehow congeal into a fantastic and extremely entertaining experience that is much greater than the sum of its parts. The show is fast paced and exhilarating, much like being at a circus, and it is extremely family friendly. The show will appeal to every age in your group and is definitely a top show for kids in Las Vegas. Best of all, you can catch it any day of the week at 7 or 8:30pm at Planet Hollywood. 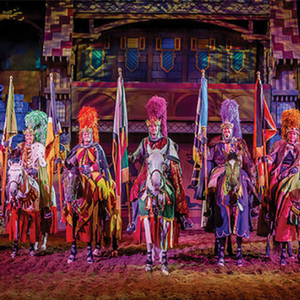 Overview: Tournament of Kings is technically a dinner and a show, but it is extremely kid friendly and will transport you to the era of King Arthur, where knights battled with swords on horseback and jousted for sport. The show involves intricate battle scenes, comedic interludes, maiden dances, and exciting pyrotechnics paired with a delicious meal. You will get your money’s worth at the Tournament of Kings and your kids are sure to love the story and adventure. Also, kids under 3 can sit on your lap and eat for free! This is a kid friendly Vegas show and dinner that you won’t want to miss. Vegas is a truly unique place full of lights, and glitz, and energy, but it is also the perfect place to catch some of the best family friendly Vegas shows. 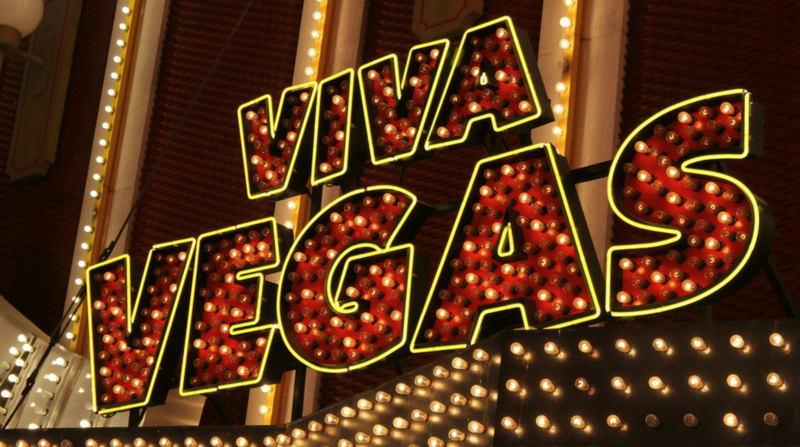 We always put aside a small budget for gambling when we go to Vegas, but it is really easy to dedicate a portion of that toward a family Vegas show experience. Better yet, if you happen to win a little bit, I think you should splurge some of those profits on a Vegas show for kids. 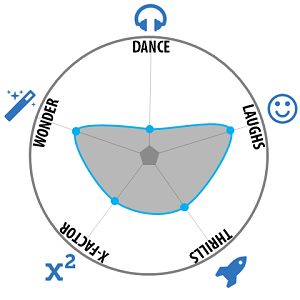 I am certain your kids will appreciate the fun and your family won’t be disappointed! It is an experience you and kids will not soon forget. 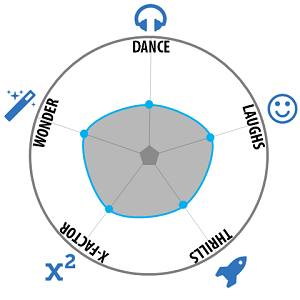 What is your favorite kid-friendly show in Las Vegas and why? Did I miss something on this list of the best family shows in Vegas? Awesome list! So many things I had never thought of! We will definitely have to check some of these out. Las Vegas is insane, there are so many shows to see! 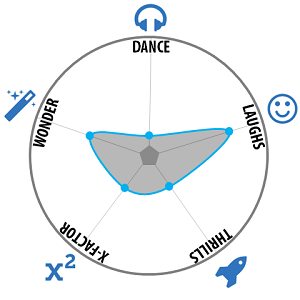 I went to see Blue Man Group in Boston years ago and loved it, so I definitely agree with your pick! I would love to see Cirque du Soleil and David Copperfield though, what a legend! Las Vegas does have a lot to do. They really did a great job reinventing themselves a few years ago. It seems like it has something for every for everyone. You can have a blast even if you don’t like gambling. You’re right, Vegas really has reinvented itself over the years, and we have found it to be a fun trip for the kiddos (and for us!) It is such a unique place with so much to offer that none of us can find in our own home towns. You know? Wow, that’s a pretty comprehensive guide on Las Vegas shows! I’d love to start with those that include more dancing! Yes, and Vegas an surprising amount! Thanks for the great list. 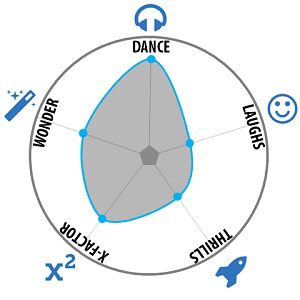 Really love the graphs, they’re so helpful! There’s so much to do in Vegas, it’s always tough to decide where to spend your time! True it can be overwhelming, that’s why I hope this guide helps others to be able to narrow their choices. I am sure you are fine, they don’t have i.d to check. 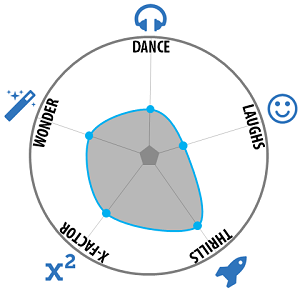 I would just say she is five.